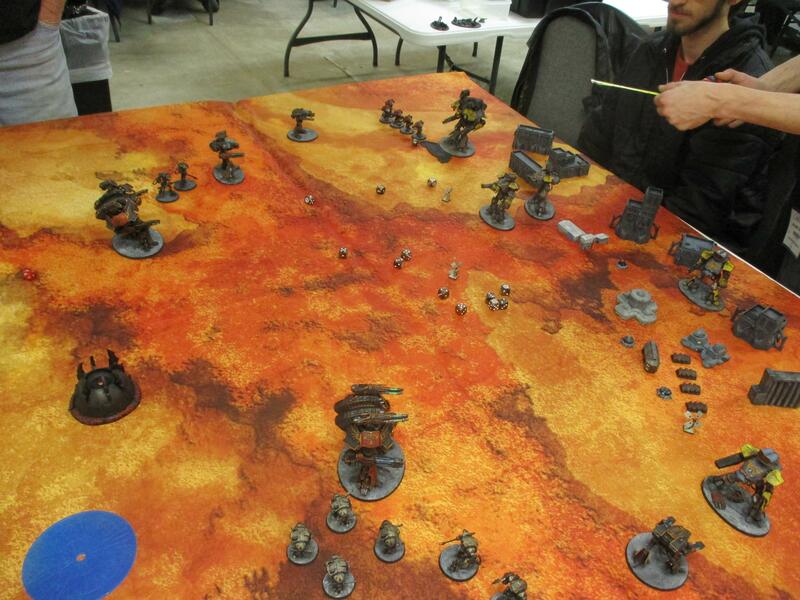 Here was our Saturday night game at Cold Wars. 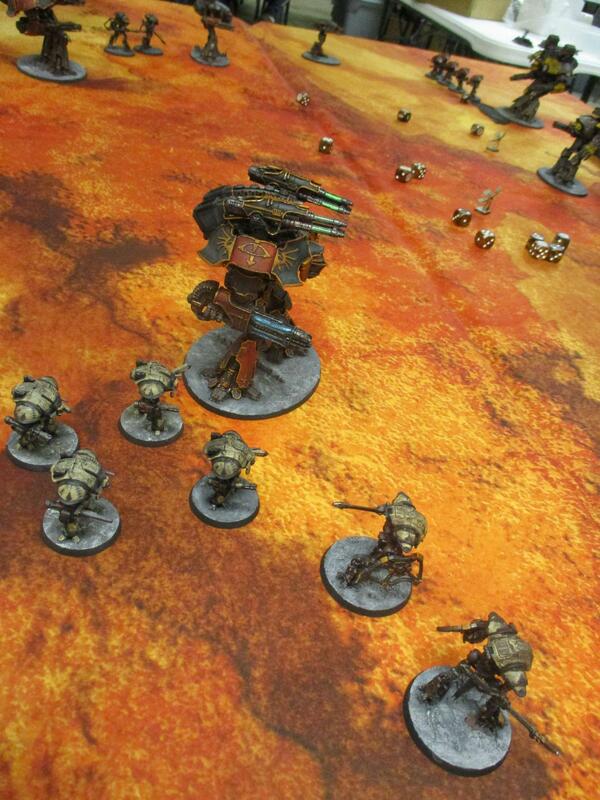 This was the defense of the Magma City scenario from the main rulebook. The loyalists had about 47 size points and the traitors had about 52 size on their side. The victory conditions were that the loyalist had to all be killed. The traitors got victory points for killing loyalists, while the loyalists got victory points for staying alive and killing traitors. 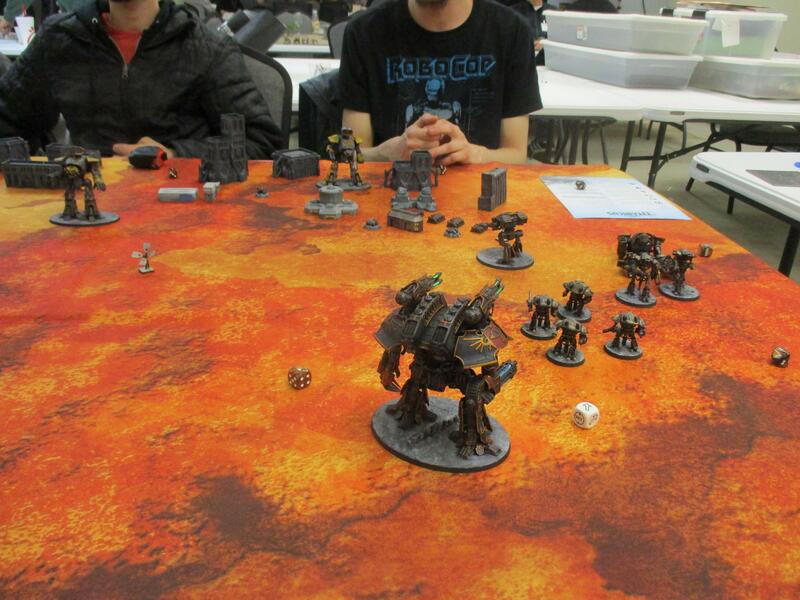 The traitors crushed the loyalists losing none of their titans in the battle and only three knights. It was a fun game, although not the most interesting scenario in the book. 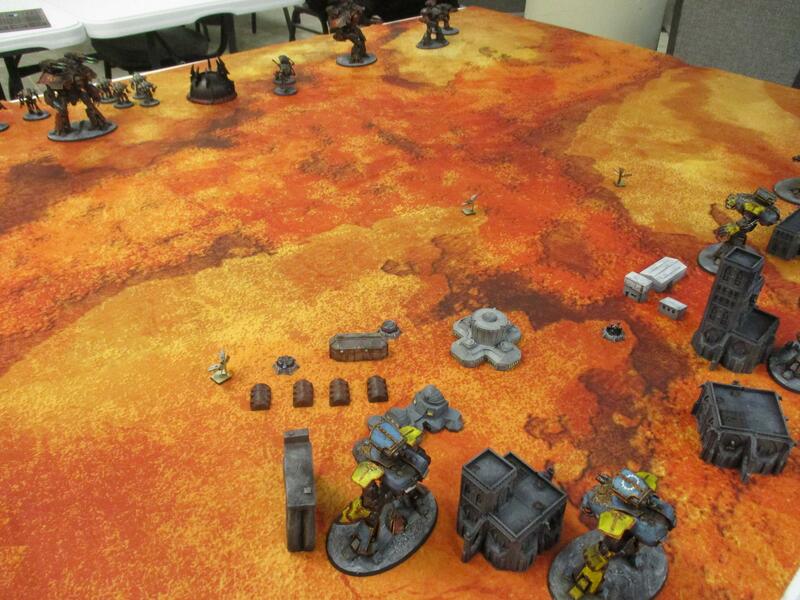 The terrain was only slightly less dense than what I would think would be ideal for the scenario.